One of President Ronald Reagan’s top economic advisers has some blunt advice for President Trump: Put health care aside and focus on cutting taxes. “Cut the corporate tax. Just do it,” economist Arthur Laffer told CNNMoney. Trump really wanted a big win in his first 100 days in office, but the repeal of Obamacare failed spectacularly in March. Trump refuses to let it go. 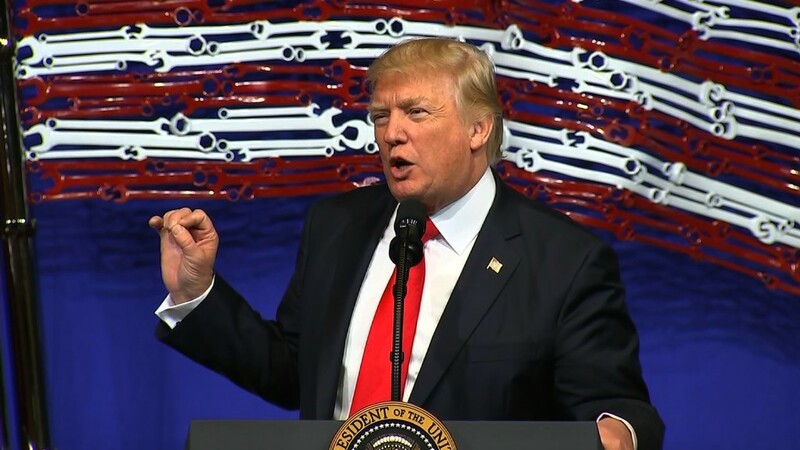 Last week, he stunned many by saying he still wants to “do health care first,” before tackling tax reform. Laffer thinks that’s the wrong move. Laffer advised Trump during the campaign. He’s an informal counselor now, but he’s telling everyone in the White House who will listen to do what the Reagan team did: break up tax reform into small bits instead of trying to cram it all into one huge bill. The easy win would be cutting business taxes, Laffer argues. It could even be done by August (the original deadline the White House set for action on taxes but has since backed away from). “There’s no one who thinks a 35% federal corporate tax rate is appropriate,” Laffer says. He notes the U.S. has the highest tax rate on businesses out of any major economy in the world. Trump proposed slashing business taxes to 15% on the campaign trail. Republican House Speaker Paul Ryan has pushed for a 20% top rate on business. The Op-Ed comes on the heels of Glenn Hubbard, President George W. Bush’s top economist, giving Trump that same advice back in March. The chorus of GOP economists says Trump should enact business tax cuts in 2017 and then tax reform for individuals in 2018. 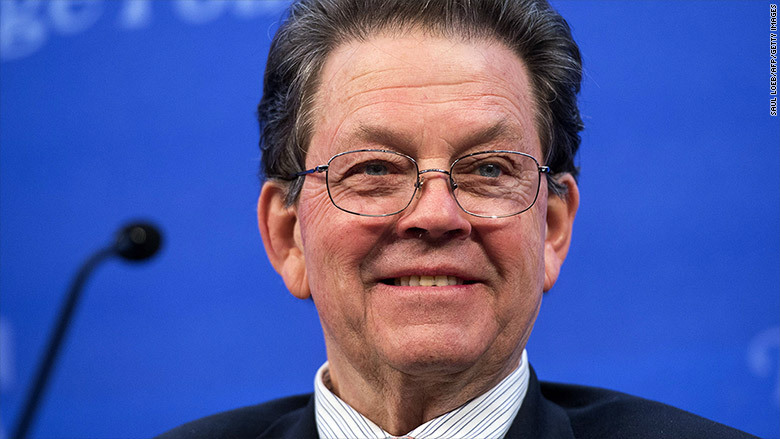 Arthur Laffer was one of President Reagan’s key economic advisers. He also advised Trump during his campaign. Laffer says the only reason Trump wants to tackle health care first is because overhauling Obamacare could generate more money for the U.S. Treasury. However, he argues Congress and the White House should stop obsessing about having tax cuts “paid for.” That would mean tax cuts do not add anything to America’s $ 19 trillion debt. Laffer is telling Trump to cut taxes now and keep government spending about the same. The Trump Administration doesn’t appear to be heeding that advice. The White House is mulling deep cuts to the federal budget in order to fund an increase in military spending. “Do not cut government spending right away. Wait until tax cuts have their effect on economic growth,” Laffer cautions. Trump’s approval rating is just 41%, according to Gallup. That’s actually up from 35% a few weeks ago. But Laffer says Reagan faced something just as bad in his early years in the White House. President Reagan’s approval rating did hit a low of 35% as well, but that didn’t happen until 1983, two years into Reagan’s first term. 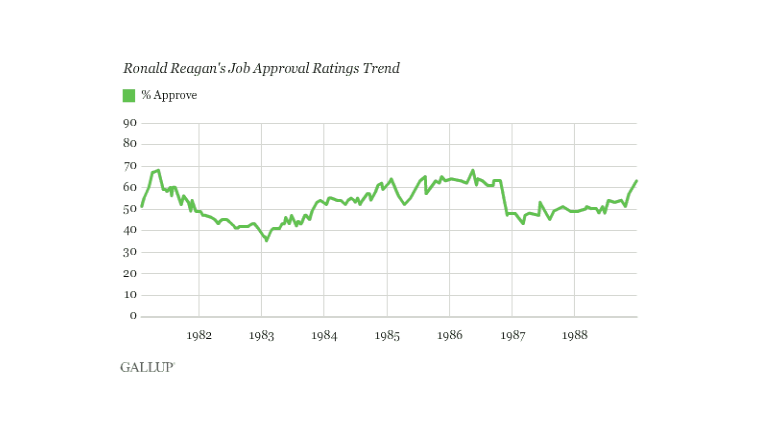 During his first 100 days in office, Reagan had an approval rating of almost 70%. Laffer is a big champion of cutting taxes to spur growth. He’s often called the father of “supply-side economics” for his research on how cutting taxes can actually bring the government more revenue. But Laffer’s theories have come under heavy criticism lately. Many point to Kansas, a state that cut taxes in 2012 and has since faced massive budget shortfalls and a floundering economy, as proof that Laffer is wrong. Laffer says the real problem in Kansas is that Republican Governor Sam Brownback didn’t go far enough. “The tax cut was too small. It was a rounding error,” Laffer told CNNMoney.